Research informs us that access to a well-behaved dog can lower anxiety, depression and help manage stress. As social workers, a well-trained dog is a tool that will enhance your practice. Traditionally we have thought of a therapy dog in a counseling session. This course will expand on that idea and help social workers create a program where a dog can become part of an agency and be accessed over the course of many years for the service of hundreds of our clients in many different settings. In this course, you will learn not only the practical benefits of such a program, but how to create a dog program for your agency. You will leave with concrete ideas and tools for advocating for the program inception, funding the program, finding the right puppy, the dog training required, how to use the dog in multiple ways to help your clients socially and emotionally, and how to safely and productively maintain of the program for years. Learn the brain research that supports the use of animal assisted social work. Learn some tools and have research on hand to advocate for a program to begin in their agency. Learn of some funding streams, how to access them and the and low costs of having the program. Learn the importance of, and how to find, a good dog breeder, dog trainer. Learn the training requirements of the dog. Learn multiple effective social, emotional, and academic strategies and uses of a dog as an intervention tool. Learn about training multiple dog handlers and appropriate dog socialization so that access to the dog can be used agency wide. Learn how to use the dog to help enhance social and emotional learning. This workshop is approved for 2.5 continuing education credit hours. Catherine Ricchetti, LCSW-R, is s a 1993 graduate of the SUNY Albany School of Social Welfare. She is a school social worker in the Guilderland Schools. 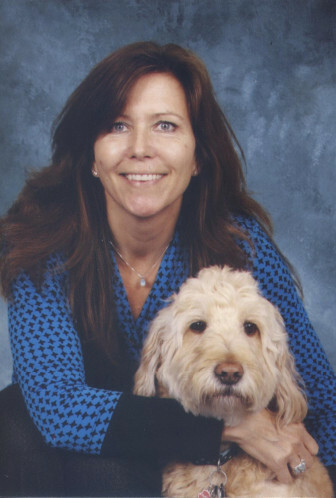 She is the author of two books on animal assisted social work as she has been dogs in her work since 1995. Her program has been so well received in the schools that she has expanded so that each school in the Guilderland district will have a social service dog working full time wtihin the next few years. Ms. Ricchetti has helped multiple schools create their own dog programs. She believes that most agencies can benefit from a social service dog program and hopes to help expand into and beyond schools to agencies that support our clients.